Obi-Wan Kenobi: I have to admit that without the clones, it would not have been a victory. 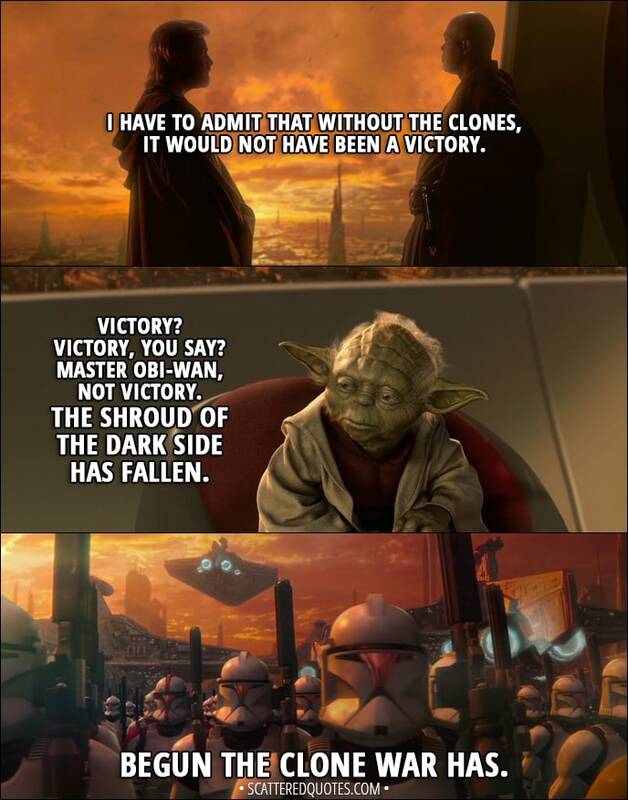 Yoda: Victory? Victory, you say? Master Obi-Wan, not victory. The shroud of the dark side has fallen. Begun the Clone War has. 17.1.2018 Begun the Clone War has.